This will be a once in a life time experience, you will visit Lares which is one of the last ancient Inca communities in the middle of the Peruvian andes; enjoy the wild life seeing llamas, alpacas, waris, pacochas and many other animals considered South American camelids. And finally, delight with Machu Picchu after this amazing adventure. The Andes traverse from South to North the South American continent, which includes Chile, Argentina, Peru and Colombia. 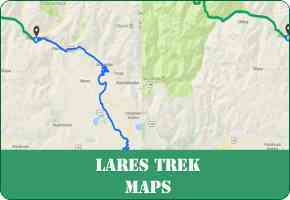 Among the valleys and mountains through the andes, exist hike trails which cross these mountains. Is here, in themiddle of the Peruvian andes and Cusco region that there is a trail initiating in the famous Sacred Valley of the Incas, across the Andes Mountain range and towards Lares Valley. 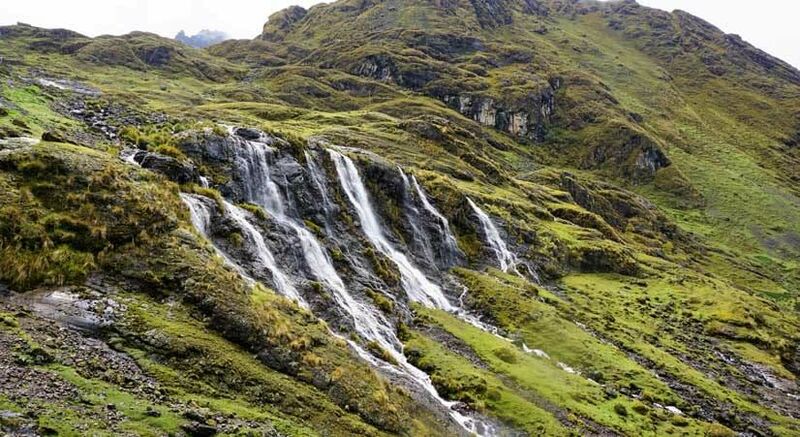 On the route of this particular trail, our visitors will start the hike on the valley forests with lavish flora, fauna, mountains, snowcapped peaks, lagoons and the best of all: our hike ends at Lares thermo medicinal baths which are very recommended. 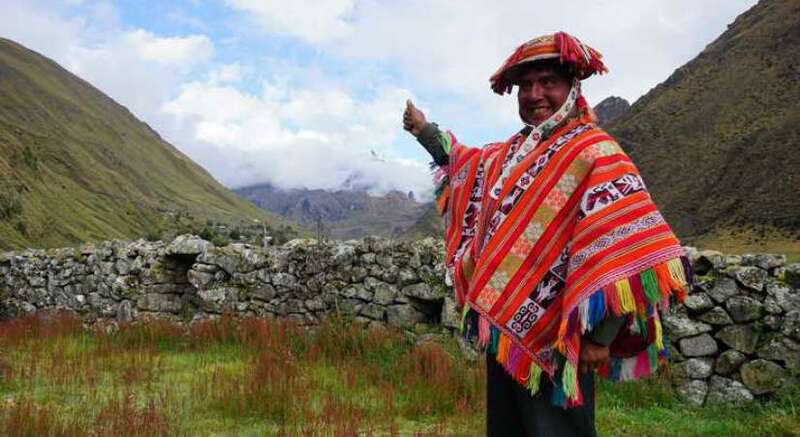 Also, in this Lares Valley we will encounter inca communities like Cancha Cancha, uishuarani, Cuncani and others known as the last inca towns, which very fews know about. Our visitors will have the opportunity to interact with local people and also children that still maintain the Inca native language, the Quechua. These communities are dedicated to herding animals like llamas, alpacas, guanacos, etc., they are also dedicated to potato agriculture as our ancestors discovered more than 3000 varieties. After this andes adventure through the Lares Valley, we will board our touristic train towards Aguas Calientes until finally reach Machu Picchu our worldwide recognized wonder. This tour offers our clients the delight of an untrodden path, as a real cultural exchange with local people and besides the thermo medicinal Lares baths afterwards. Then you will board the touristic train and spend the night at a 3 stars hotel in Aguas Calientes, so you can enjoy the following day the sunrise at Inca Citadel Machu Picchu; and finally end with a private guided tour with our expert guide. Camping, hiking, campfire, guided tours, adventure, history, culture and more! Briefing information 2 or 1-day prior the tour and in charge of your guide. Meals breakfast, lunch, dinner and hot drinks all the time. Professional chef and assistant chef specialized in Peruvian gourmet food. 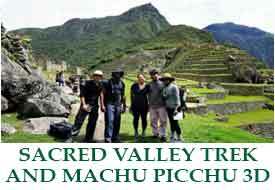 Private guided tour in Machupicchu citadel. 1 night at 3* stars hotel in Aguas Calientes. (if any of our client want to get 3* hotel or 4* star hotel contact us please or if you have one let us to know please). Drinkable water during tours and snacks. Entrance fee tickets to Machupicchu. All private transfers during the tours and specified on the itinerary. Expedition class train ticket at 18:34 pm from OllantaytamboAguas Calientes route. Private return transportation from Ollantaytambo to Cusco. 24/7 assistance during all year. This adventure will start in Cusco, picking you up from your hotel in our private transportation for approximately 1 and a half hour, we will reach the Calca District which is located in the Sacred Valley of the Incas. Here we will make a stop for approximately 45 minutes to visit the local market, then we will board our transport for another 30 minutes and reach the Huaran Community located inside the Sacred Valley itself, it is 2800 m.a.s.l. From here, we will start our hike which will gradually ascend to Huaran Valley which has lush flora and fauna. This is the perfect place to see our llamas and alpacas in their natural habitat, we will also see endemic native trees and medicinal plantas which ancient Inca community of Cancha Cancha uses as natural remedies; we will also see fantastic views of the Mountain and snowcapped peaks in the andes. This first stretch will take approximately 3 hours until reach our camp to have lunch. Here we will have 1 hour approx. to enjoy our delicious and nutritive menu. With our renovated energies, we will continue our hike with the first views of the nearby snowcapped mountains and within an hour we will reach the Cancha Cancha ancient community which will be our campsite. Once we are settled, we will visit one of the local homes to know more about their lifestyle and share some activities with them. Upon completion of this day, we will have a moment of relax and enjoy some hot beverages, as well as our dinner. Our second adventure day will start very early in the morning with service to tent and a hot coca tea which is good for the altitude, right after we will have our sustaining breakfast. Also, our personal will offer you water to fill your bottles along the day and then start our hike. On the way we will see a lot of alpacas, llamas and Cancha Cancha local people plowing native potatoes; there will also be opportunity to see wild animals such as vizcachas considered rodents that live in the rocky terrains. 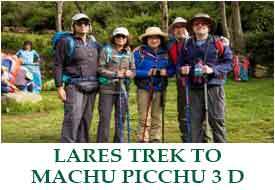 Pitusiray, Sahuasiray and Colque Cruz; after we will reach our destination, Pachacuti Pass which is situated 4500 m.a.s.l. This stunning scenery will be adorned with colorful lagoons, glaciers and other south American camelids. Once we reach our objective, we will continue our hike and descend to Lares Sacred Valley which belongs to a very ancient path considered inca, through the andes, waterfals, lagoons, creeks, natural landscapes until finally reaching ancient inca community of Qishuarani, here our second campsite will be at a lovely rustic lodge. After your hearty breakfast, our latest hiking portion will be uphill for approximate 2 hours, on the way you will have impressive panoramic views and a lot of llamas and alpacas which graze nearby this valley; we will also see the formation of natural lagoons which develop microclimates making this natural scenery extra special as it is considered unique. Our hike will finish at ancient inca community of Cuncani, which belongs to Lares district, here we will visit some community schools and interact with their children. After this amazing experience, we will board our transport towards Lares thermo medicinal baths to enjoy a relaxing time and also have our delicious lunch. 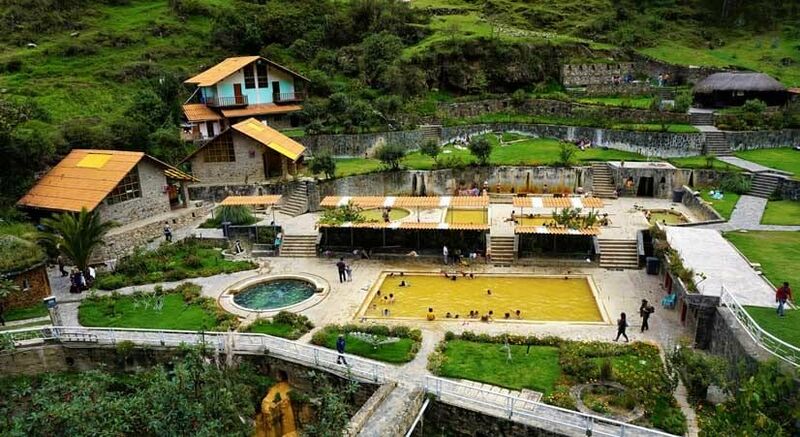 Finishing this relaxation time, we will board our private transportation and head to Ollantaytambo train station in order to catch our train to Aguas Calientes, the nearest town to Machu Picchu, upon your arrival you will be accommodated in at 2 stars hotel. After you had settled, your guide will coordinate the adequate time to visit the Inca citadel of Machupicchu the following day to witness the sunrise. Today at a previously arranged time we will visit Machupicchu inca citadel, we advise to start very early in the morning to appreciate the sunrise and avoid the crowds as the demand increase day by day and nowadays we have around 6000 people per day. 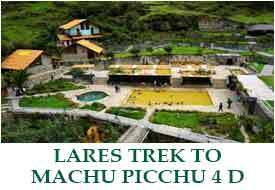 Your tour will start with the bus ride towards Machupicchu, this ride takes 25 minutes approx. and then reach the Main access point. 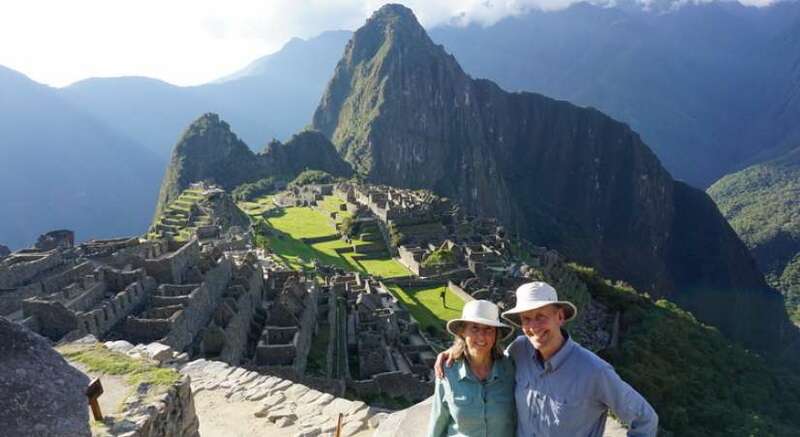 Our guide will lead you to the exact location in which the most famous Machupicchu postal photo is taken; from here you will start your 2 hours guided tour including precise information about inca civilization and Machupicchu citadel. After finishing the tour, our clients will board the bus down to Aguas Calientes in which the train station is located and then catch the train according the arranged schedule to Ollantaytambo train station. From here our transfer will pick you up with our private transportation and lead you to Cusco city, directly to your hotel. 2** hotel at Aguas Calientes town. Our price $ 599 USD per person for 2 people. Our price $ 549 USD per person for 3 people. Our price $ 500 USD per person for 4 or more people. SECOND, we require a deposit of US $ 300.00 per person in order to purchase your entrance to Machu Picchu and train ticket. You can make you deposit by PAYPAL Online or make a deposit to the following bank account in Interbank 420-3107104602. According to our government Laws you must be under 18 years of age at the time of your trek, tour, or visit to Machu Picchu (students 18 &amp; above need ISIC cards). For example, if you book a trek at the age of 17 but you turn 18 before you do your trek, you do not qualify for a student discount. All students must send a copy of their passport at booking time to get the discount.We need a copy at info@kenkoadventures.com.